I shared this little teaser photo the other day to show you I had finally started working on the last round of my Gwenny Inspired Medallion QAL! The theme this time was log cabins. That could be interpreted any way you wanted. It didn’t have to use actual log cabin blocks. I made some improv log cabin blocks for the corners, but went with just straight “logs” for the borders. Honestly, it took me forever to decide what to do here! I used up a charm pack and some scraps to make the border and I am now quite pleased with it. It looks less formal now. I think this book may be my very favorite Gwennie book. Aren’t those stars awesome? 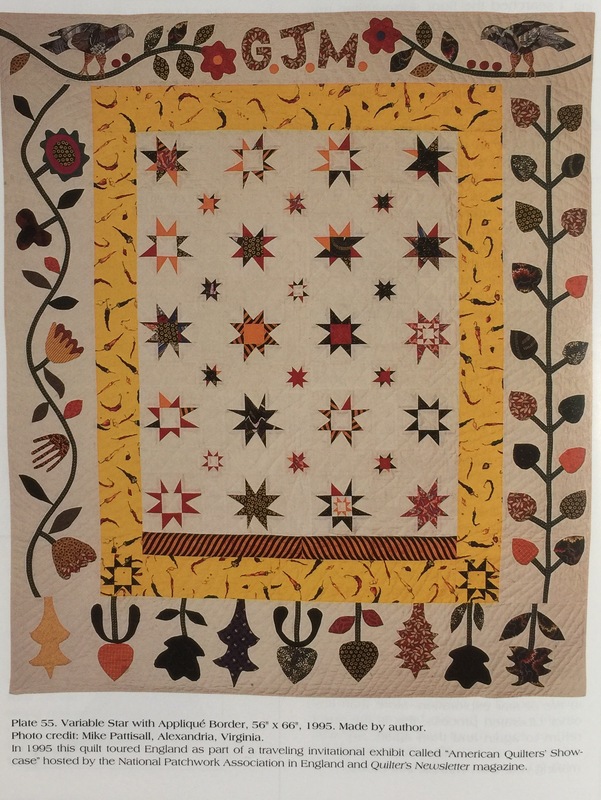 Here is another quilt from the same book. 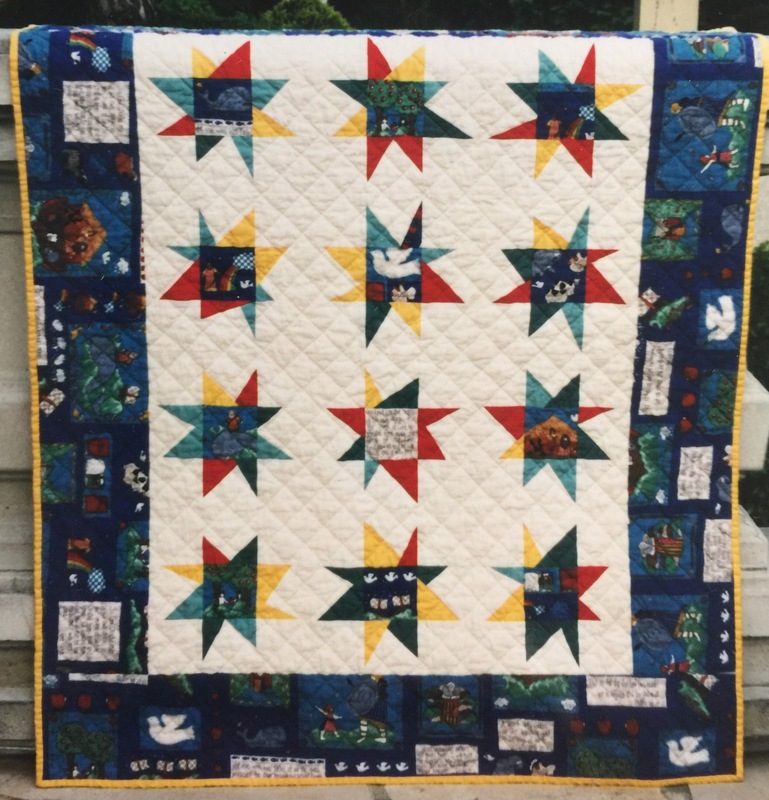 I loved these so much that I made a gazillion baby quilts with these wonky stars back in the day! 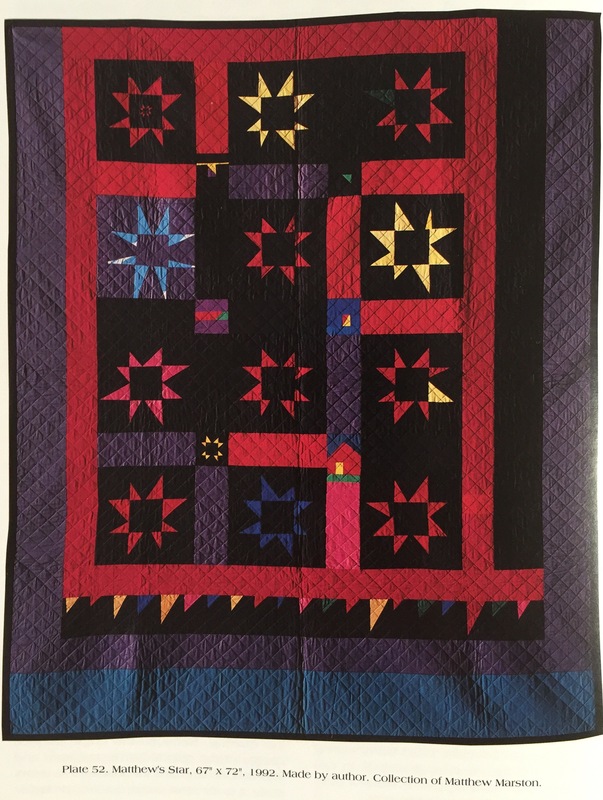 I gave them all away but here are some pictures of pictures of quilts from years past. So the challenge for this next round, is to create a border with the star theme. You could make your entire medallion into a star center or add stars in your borders. Heck, you could use star fabric! We will be linking up the results of this round here on September 1st. But start sewing just yet! 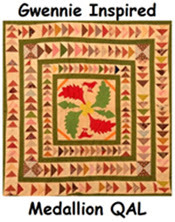 Hop on over to Lori’s blog, Humble Quilts, to see the results of the log cabin round that we just finished. Even if you don’t have yours complete, link up your progress. We want to see! This entry was posted in Gwennie inspired Medallion QAL, Gwennie QAL, Uncategorized. Bookmark the permalink. 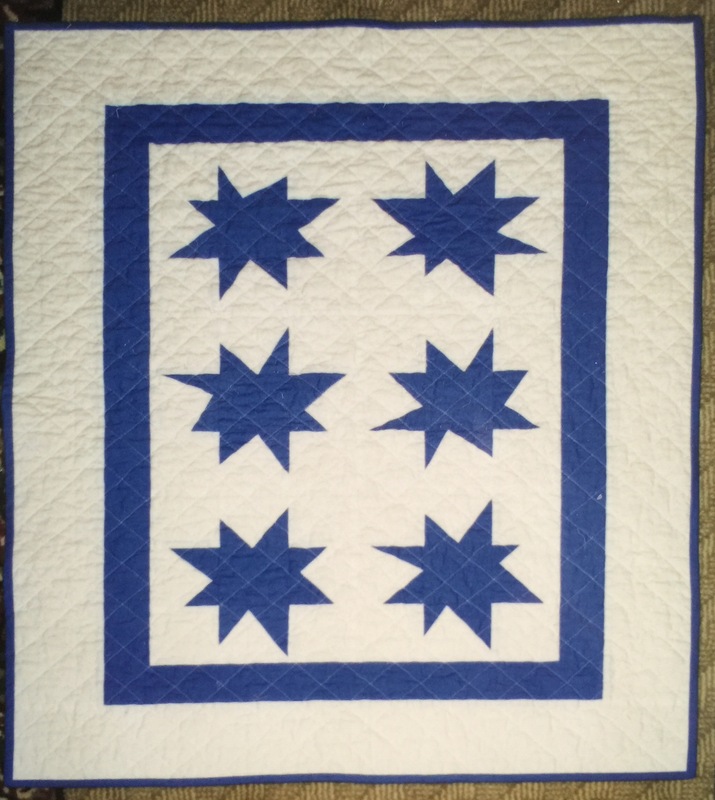 23 Responses to Gwenny Inspired Medallion QAL Part 3 Reveal! Love your Gwennie interpretation! And can’t wait to get going on the stars and see what everyone comes up with!!! Oh wow! What a fun project! 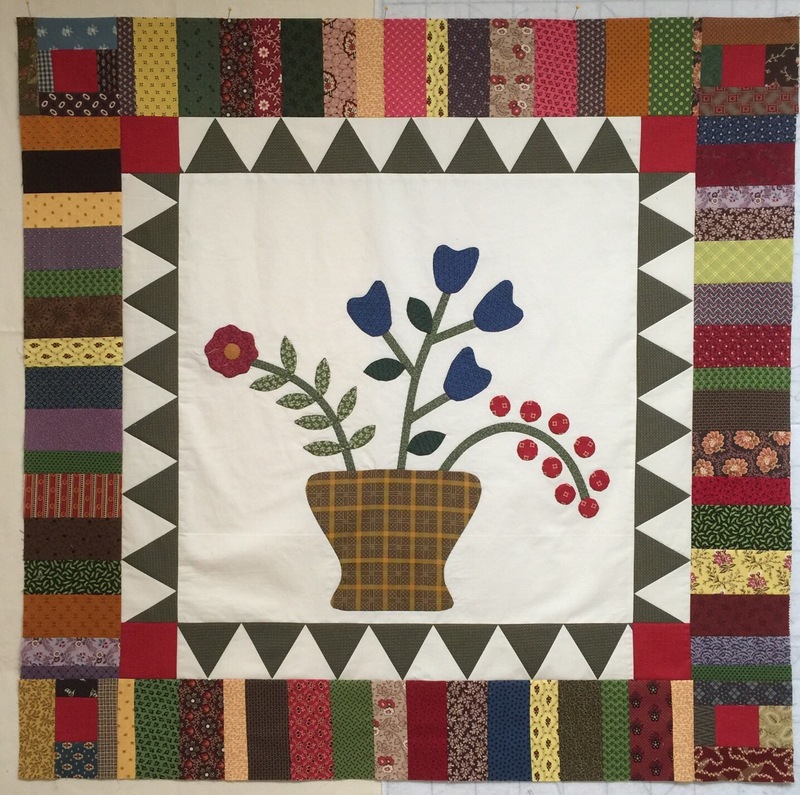 That is the perfect border for your center – and very Gwennie! Thank you for the Stars for the next border! I love the wonky stars, and they’ll be fun to do. Love your log frame–looks so perfect with your center! Love your piece so far. Excellent choice of stars! I love your log border with the cabins in the corners. The border enhances your basket and suits the quilt just perfectly. Beautiful border and thanks for the next theme, I love stars. Your log cabin cornerstones and piano key borders all have a warmth and richness that comes from those wonderful fabrics. Nice job! Stars are my favorite block to make, so I think your theme is perfect! 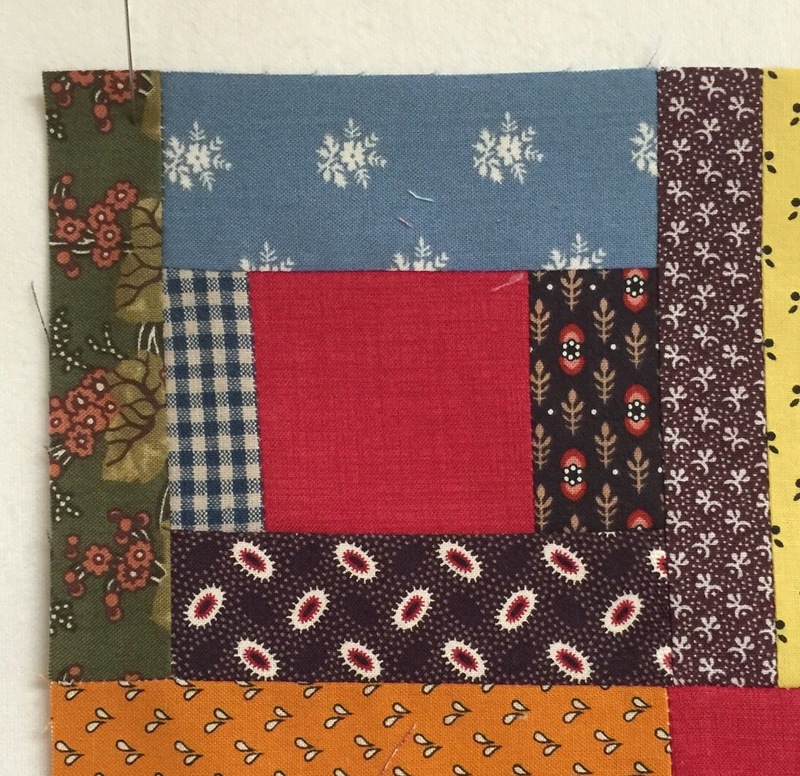 🙂 Sounds like you are really enjoying this QAL, and your quilt looks great! Love wonky stars! Looking forward to making some for my quilts. Running late and haven’t finished my log cabins yet. Thanks for the new inspiration. 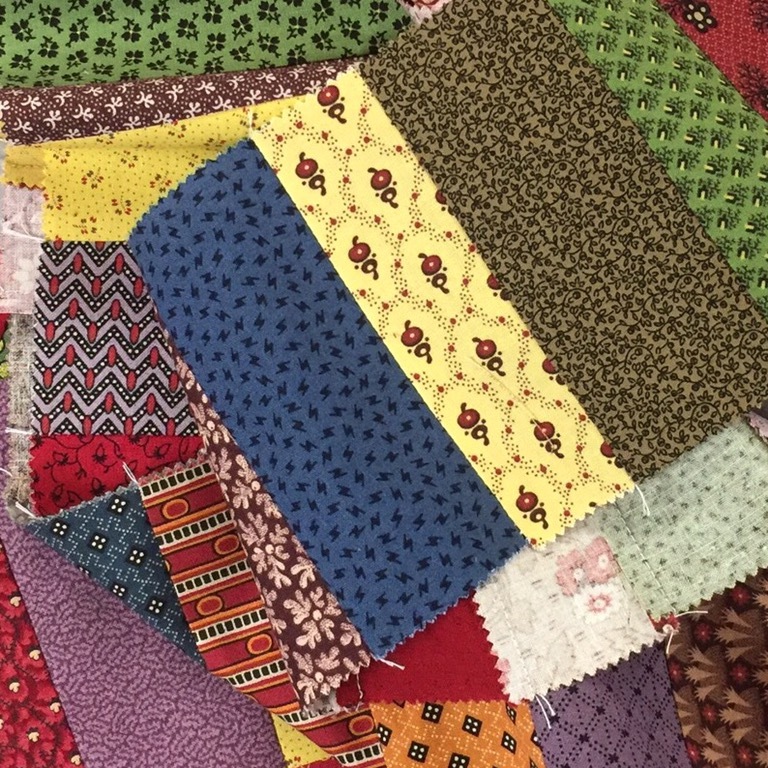 I adore your logs and it certainly livened up your quilt with lots of lovely color!! I really like the traditional red centers on the corner blocks too. I am a real fan of Gwen’s work..love all of her. Your piece is looking great! Those improv log cabins are the perfect corners for your logs border. Love it! Is is a great log cabin solution indeed! Thank you for the next theme, I love the liberated stars so much! Your log cabin round is very interesting. Such a good way for a person to use up fabrics in the scrap basket. 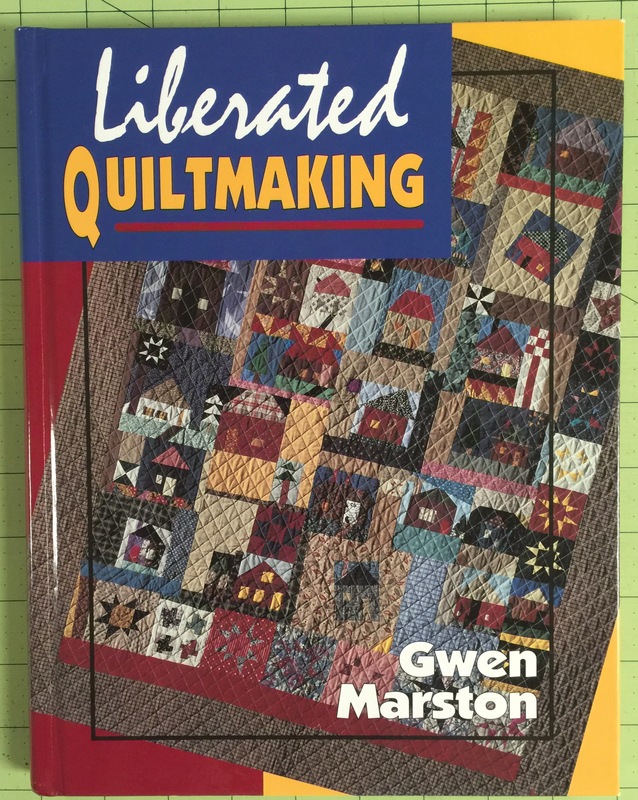 I have that book too, but I’ve not done any of the quilts. I just drool over them every now and then. I need to get one going. Wish I would’ve had time to do this QAL. It looks very fun! Your logs border is perfectly fitting. And… what could be better next, than stars! You’ve picked a great versatile theme. LOVE LOVE LOVE it!! what a great post! Absolutely awesome! So funny that our log cabin “round” is so similar. Great minds think alike! Thank you for choosing stars. I can’t wait to start! What a fun project. Your log cabin inspired border turned out beautifully! Have fun with the stars for the next border. Love your border Katy, so beautiful …and your theme ! Stars yeah !